Tonight I have two greens combined into one post for you. If you haven't figured it out yet, I've got a severe weakness for any shade of green nail polish. 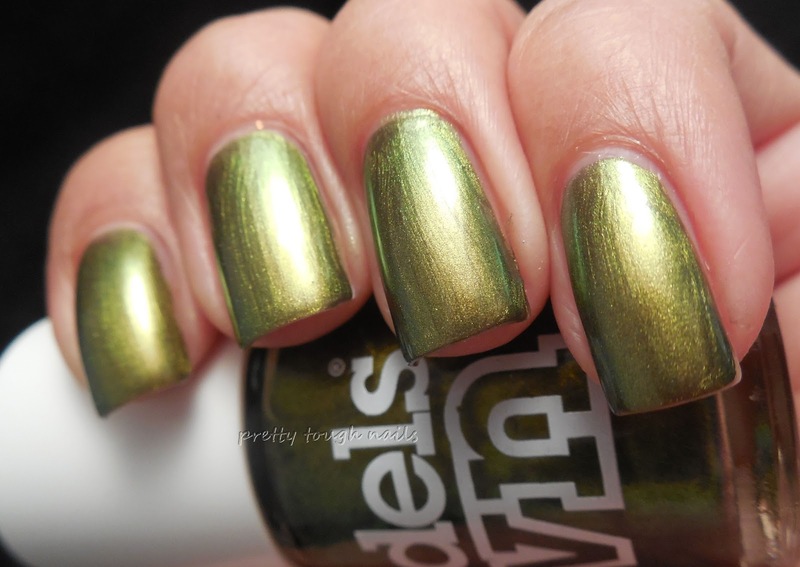 If I could, I would dedicate this blog to green nail polish, since there's probably enough shades out there. I chose these two because they're both shimmery. The first is a fall 2012 Project Runway release by L'Oreal called The Temptress Power. 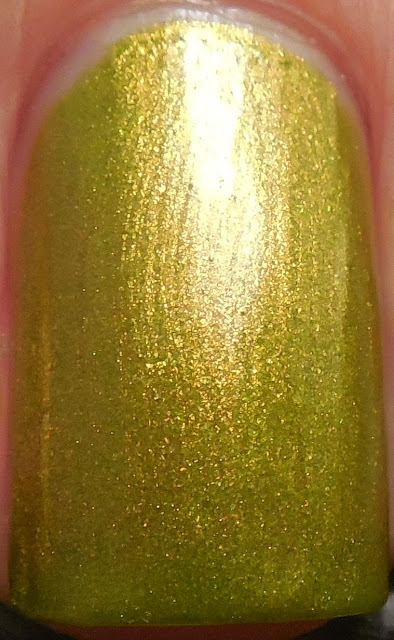 This is a lime green almost chartreuse shade and the only one from that collection that really caught my eye. Application and formula were both lovely with no problems to report. This is with no topcoat. The next green I have for you is a duochrome by Model's Own called Golden Green. When this collection originally came out I remember there was a lot of excitement from the polish community because there weren't a lot of duochromes out at the time... now there are tons but this remains one of the classics. It is a shimmery green that shifts to gold in certain lights. Application with this was easy and I used two coats with no topcoat for these pictures. My only complaint was the smell seemed stronger or more out of the ordinary than what I'm use to. So that's my green spam for tonight... if you had to dedicate your blog to one color, what color would that be? Purple. Totally. My all time favorite color. LOL, me too! I kind of saturated my collection with too many purples and had to branch out. I've discovered that I really like a lot of colors that I didn't think I'd like before.